The above piece by Jeffrey Zachmann uses a combination of metalwork, physics and small, simple machines to create a continuous cycle for the metal marbles contained in the piece. It’s a unique combination of science, mechanics and art that is spellbinding to watch. In fact, Jeffrey loves watching people viewing his art. Adults become children as they follow the adventure the marbles take. 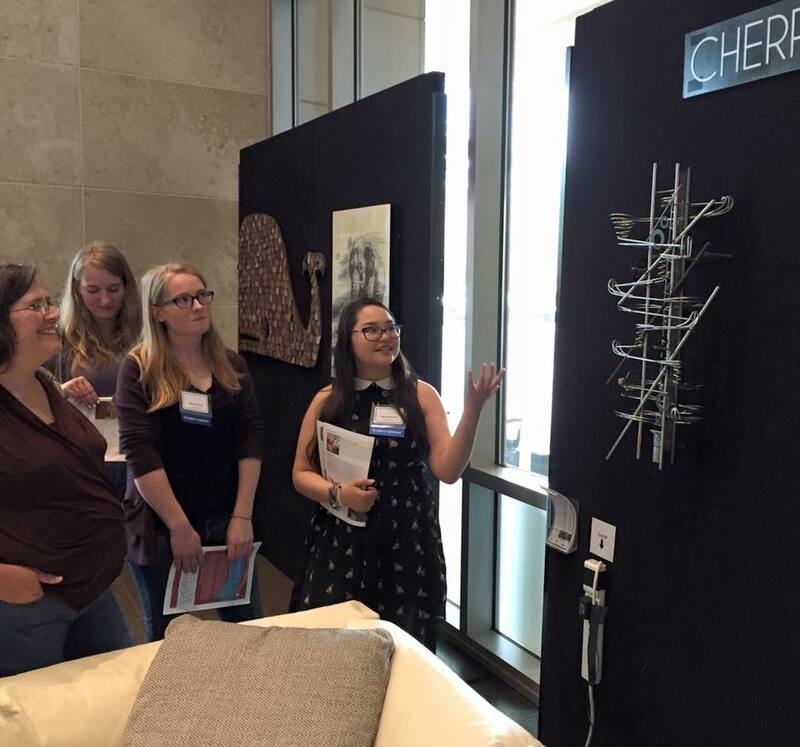 This is just one of many pieces art students around Colorado experience with the CherryArts Mobile Art Gallery. 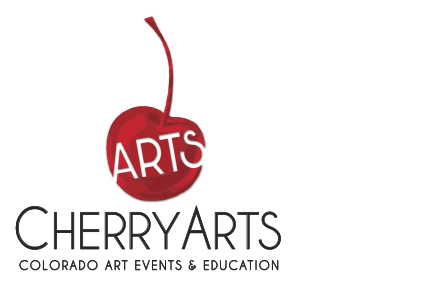 The Mobile Art Gallery, developed and coordinated by CherryArts, provides schools, libraries, and other public venues with the unique and immersive opportunity to host a gallery of incredible artwork from artists exhibiting at the annual Cherry Creek Arts Festival. During the Gallery’s residency, students learn about the exhibiting artists, the pieces, the art mediums and the process of designing and creating original art. Students then train as docents to give tours of the Gallery for their peers and members of the local community. They even take ownership of the Gallery from start to finish, setting up the entire installation, handling and maintaining the art, and dismantling it all, before shipping it to the next location. 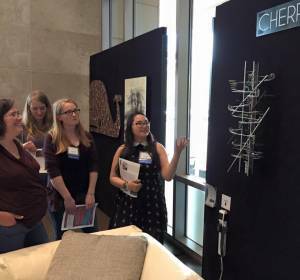 Along with the Gallery, CherryArts provides resources and reference materials for educators and members of the community to supplement their own education programming for a richer educational experience. The Gallery is located in the lobby of the Janus building, 151 Detroit St., Denver, until June 2. From July 2 to July 4, the Gallery will be on display in the lobby of the JW Marriott Cherry Creek, 150 Clayton Ln., Denver. The gallery is made possible through a partnership with the Scientific and Cultural Facilities District (SCFD) and support from Janus. Would you like the Mobile Art Galleries to come to your neighborhood? Please contact visualarts@cherryarts.org.